Why Do Good Things Have To End? I have two series I absolutely loved this year that sadly are not long for this world or have just ended. Interestingly enough, these are both Marvel titles and prove how while Marvel may be willing to take some risks with quikier titles, if they don't make enough bank they'll get canned just like any other book. Let's examine the duo now, shall we? Peter David of course was the writer behind one of my favorite comic series of all time, "X-Factor". 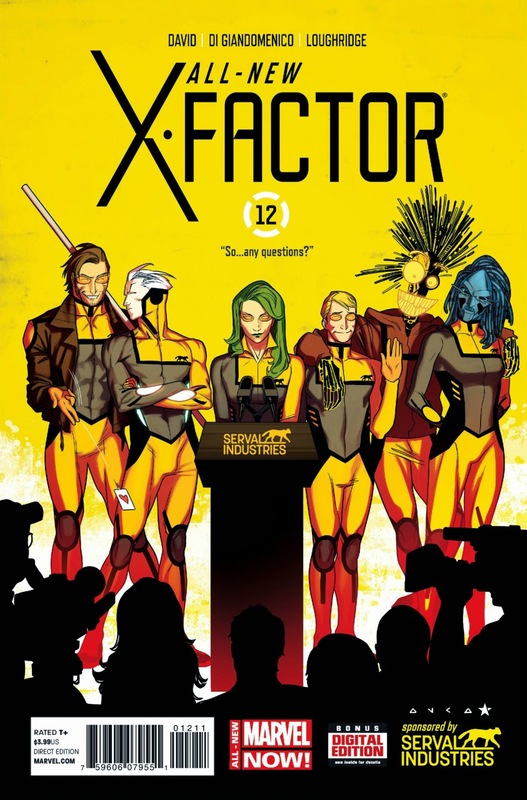 I was horribly sad to see it end but was pleased when I heard how it would be kind-of rebooted as "All-New X-Factor", featuring some characters from the last iteration but a bunch of other ones too. The 18th issue came out just this week and I haven't read it, but I imagine it continues the trend set by the previous 17 of being just a joy to absorb. Peter David's writing is one thing that always shines in any title, with its mix of humor, drama, and sheer cleverness, plus the art has been solid throughout this series also. Basically, it has just been a consistently great comic. I suppose the re-launch ended up hurting this title more than helping it, something Marvel and DC never appear to take into account, instead assuming a re-launch equals more money, somehow. In this case that didn't happen, and instead of a comic that went a bunch of issues as "X-Factor" did we will find this series ending with its 20th. I just hope Peter David goes on to do another comic even half as rad as his "X-Factor"-related work has been. and the result being readers such as myself loving it! The writing of Nick Spencer and the art of Steve Lieber resulted in a series that was consistently incredible from start to finish, never failing to delight (what's that? Two mediocre fill-in issues? I can't hear you!). A superb mixture of super-villains, well-timed popular-culture references, humor, and some good ol' fashioned heist-planning-and-doing, "The Superior Foes of Spider-Man" was simply a treat to read. I always found myself laughing, emoting, and otherwise marveling at the clever twists in the plot Spencer would consistently spring on us, with Lieber contributing impressive art along the way too. 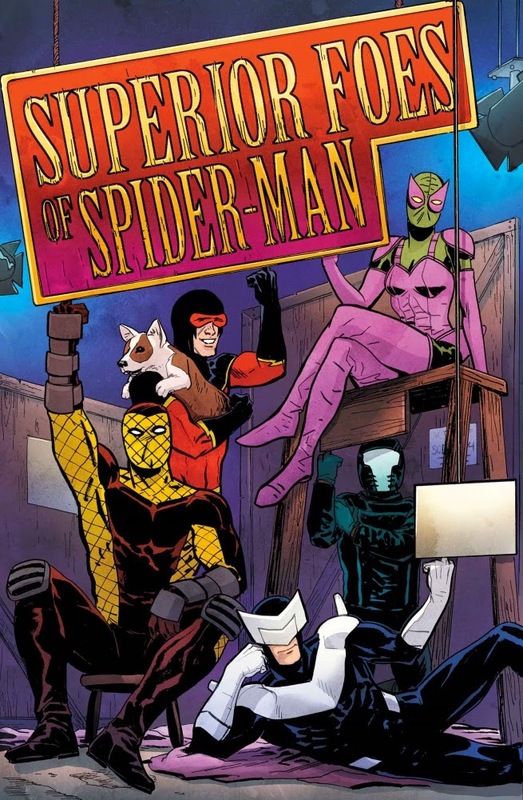 "The Superior Foes of Spider-Man" is the kind of comic you can love because it mostly stands alone from any other title (no need to read a Spider-Man comic unless you really want to), was great fun, and otherwise was just--as I said earlier--a treat. It had become a bit of a running-gag after the 12th-or-so issue how Marvel hadn't cancelled the comic yet, but well, as of the 17th they did, and here we are, with it out a tad ago and now this big hole in our hearts. I had discussed before about how Spencer can be a really good writer or a really bad one, and I had yet to see something from him at Marvel I loved. "The Superior Foes of Spider-Man" changed that, and clearly illustrated that given the right material and a chance Spencer can make magic for any company. Now it's over. Ain't that a shame? 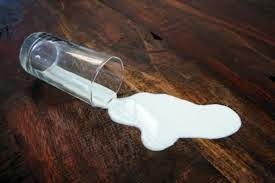 "...and he shed a single tear as the milk poured out of the glass onto the floor." I suppose there really isn't any reason to cry too much over cancelled comics, especially super-hero ones. The creators often will go on to do something else enjoyable, and the characters might reappear under the pen of someone else and still be quite fun to read. It just is still a shame when an ongoing title you really enjoy ends up actually, you know, ending. At least I have all those older "X-Factor" comics along with the newer ones and the 100% amazing issues of "Superior Foes" (what are you saying about two miserable substitute issues? I still can't hear you!) to look back upon fondly. I guess it is better these titles end while they are still good as opposed to the worse fate some comics end of forever dragging along, terrible to read but too important or popular to be given the axe. Yes, better to go out on top than peter out at the bottom.